Reduced noise and excellent spill prevention all in one! A wide range of sizes is available, from child's cot, mobile home and single to extra large ("Californian") King. 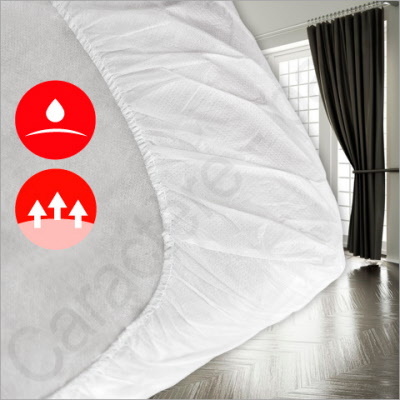 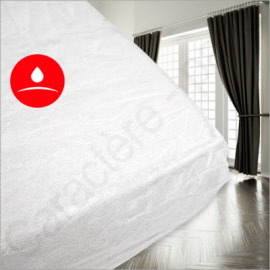 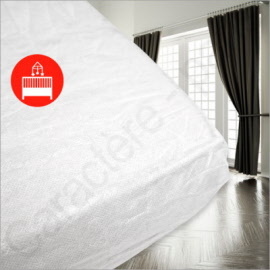 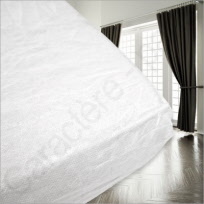 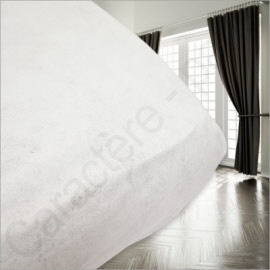 Set of 20 fitted, disposable, waterproof mattress protectors, available in single (90 cm), double (140 cm) or mobile home/camper (80 cm) bed sizes. Set of 50 fitted, disposable, waterproof mattress protectors, available in single (90 cm), double (140 cm) or mobile home/camper (80 cm) bed sizes.